You may already have a vision for your garden. 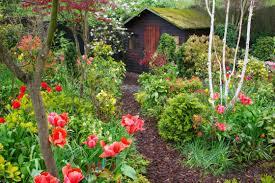 Vegetable, herbaceous perennial, fruiting trees and shrubs; you have the dream. Unfortunately, we all can’t have Chanticleer with a staff of professional gardeners. You must be realistic about your budget, both the monetary budget and the time you can realistically ‘spend’, not only to create but also to maintain your dream garden. Gardens, like children are work, and must be tended to sometimes on a daily basis. How do you plan to interact with your garden? Weeding and watering daily? Out early every morning checking for disease or pests? Or a more casual style? 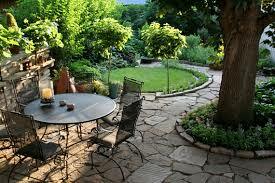 How will you enjoy your garden? Will you be able to see it from your kitchen window or will it be the main view from the living room? Are you looking for cut flowers on your table weekly or a handful of vegetables for dinner every night? 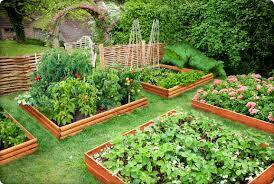 What is your gardening style: hands-on or laissez faire? 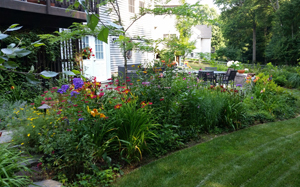 How much time and effort do you really envision interacting with your garden? So dream on, but add a dose of self-reality, and we will talk more in the next months. AFTER you have read chapters 1 & 2 of American Horticultural Society Northeast Smart Garden Region Guide and drawn your site plan, is to lose yourself in Part II the Plant Catalog of this book. Enjoy!